These Diamond Criss Cross Earrings are perfect for lovers of the infinite. Set in 14K Gold with 1/2 carat worth of sparkly I1, GH color diamonds, they have just enough flash to be noticed. Please specify which color of Gold you would like. 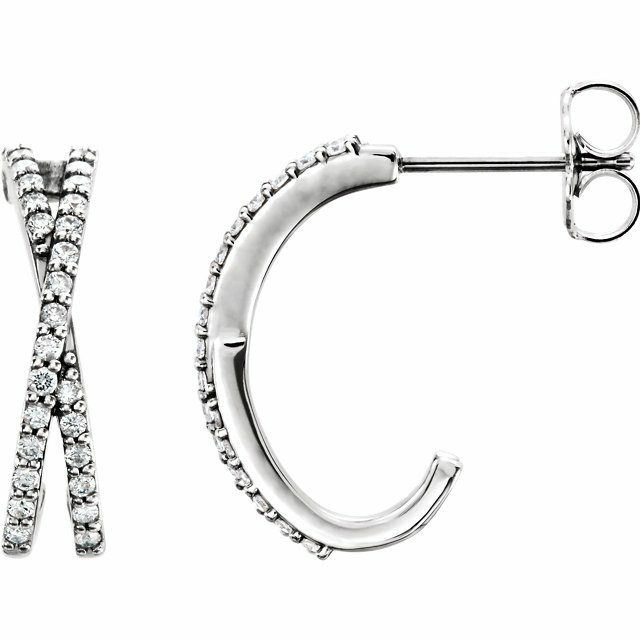 Click HERE to learn more about custom jewelry, to see our portfolio, or to contact us about Diamond Criss Cross Earrings. It can cost less than you think to have your very own custom earrings made just for you. Why hassle with the retail stores for boring and overpriced earwear?